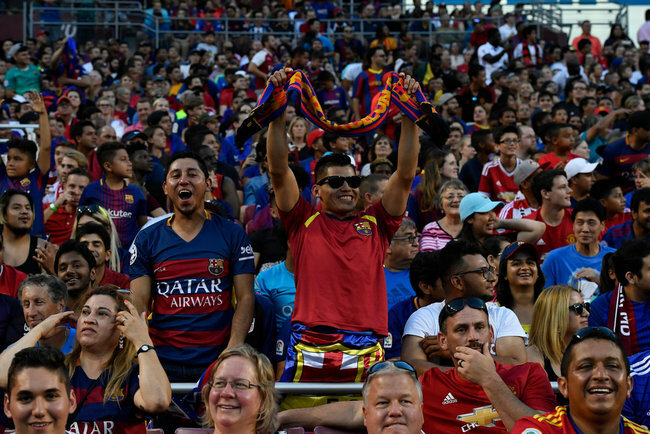 American sports fans know what they want and, if the International Champions Cup is any indication, they want soccer. The National Football League, Major League Baseball, National Basketball Association, and National Hockey League all dominate mainstream sports consciousness in the United States, so American soccer lovers are unfortunately relegated to supporting their favorite soccer players and teams from afar. Relying on TV broadcasts, online streams, and social media to follow clubs is the norm, unless one is fortunate enough to make the trek across the Atlantic to visit one of Europe’s many storied soccer stadiums. Live soccer matches are a luxury European fans enjoy and may take for granted at times. While Europe’s top clubs travel to the United States for pre-season summer friendlies, the games seldom hold meaning. But the International Champions Cup sought to change that. Begun in 2013, the ICC features some of the most influential teams, managers, and players participating in high-stakes preseason matchups in the U.S. and around the world. Barcelona and Manchester United fans in Landover, Md. Soccer’s popularity in the United States continues to grow. According to a recent Gallup poll, seven percent of Americans named soccer their favorite sport when surveyed in December 2017. Football remains the country’s most popular sport at 37 percent, followed by basketball (11 percent) and baseball (nine percent); all three having dropped in popularity since 2013. 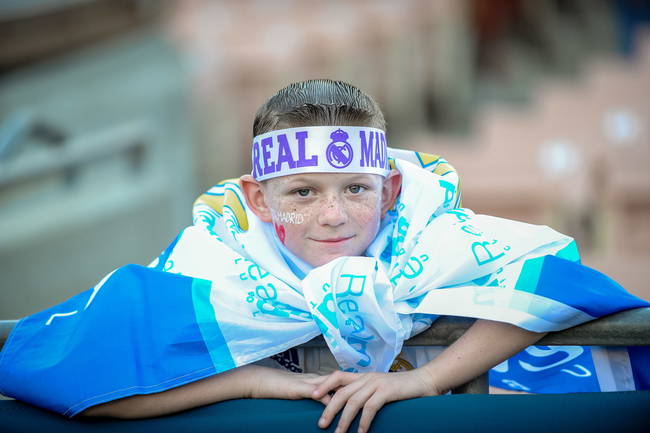 Millennials in particular are gravitating to soccer, a trend that could be attributed to technological advances making the sport available to international fans whenever they want. Of those who cited soccer as their favorite sport, 11 percent were 18-34 years old, and 10 percent were between 35-54 years old. In contrast, six percent of 18-34 years olds and seven percent of 35-54 year olds named baseball, referred to as America’s pastime, as their favorite sport. “They really love soccer here,” said former A.C. Milan and Italy defender Paolo Maldini, an ICC ambassador. “I realized it when I was here in 1994 for the World Cup because all the stadiums were fully packed. MLS isn’t at the same level as the other big leagues in Europe, but they love the sport here. The International Champions Cup boasts 18 of the world’s most influential clubs. The tournament includes the only El Clásico (Barcelona-Real Madrid) played on American soil, all eight of the 2017/18 UEFA Champions League quarterfinalists, and 90 out of 100 of the world’s top-ranked players. ICC matchups have also resulted in the two largest attendances in U.S. soccer history. A record-breaking 109,318 were on hand for Manchester United against Real Madrid as part of the 2014 ICC at Michigan Stadium in Ann Arbor, Mich. Two years later, Chelsea and Real Madrid drew 105,826 fans at the same location. The 2018 ICC, which runs from July to August, will have matches across the country, including at the Rose Bowl in Pasadena, Hard Rock Stadium in Miami, and Lincoln Financial Field in Philadelphia. The tournament, which will be the first to feature one set of standings among all 18 participants, will also see games throughout Europe (including Warsaw, Madrid, and Lecce) and one game in Kallang, Singapore. 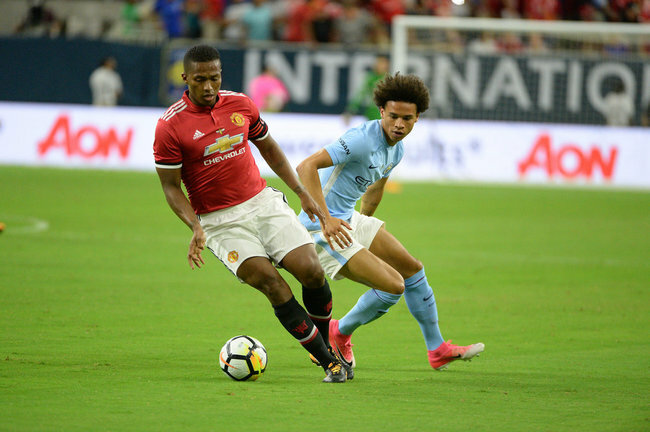 Not only are the ICC, the FIFA video game franchise, and networks like ESPN, Fox Sports, and NBC Sports Network facilitating the growth of soccer in the United States, but Major League Soccer (MLS) is helping with the sport’s popularity as well. The league, which was established as part of the United States hosting the 1994 FIFA World Cup, began a year later with 10 clubs. America’s premier soccer league now boasts 23 clubs with two more—Miami and Nashville—set to join by 2020. MLS average attendance was 22,106 in 2017, ranking among the top seven leagues around the globe. Only the Bundesliga (Germany), Premier League (England), La Liga (Spain), Liga MX (Mexico), Chinese Super League, and Serie A (Italy) had greater average attendances last year. U.S. clubs have made big splashes by bringing international players over, whether it was David Beckham joining the Los Angeles Galaxy or David Villa joining New York City FC. Matthäus, who won the 1990 FIFA World Cup, concluded his playing career in the United States in 2000 with the New York/New Jersey MetroStars (later renamed New York Red Bulls in 2006). “It’s changed a lot,” he says. “The foreign players feel the difference and pay attention to U.S. soccer. I think the level of quality is really high, the speed is good, the stadiums are better than they were 20 years ago, and there’s lots of spectators going to watch the games. Bayern Munich, which boasts more than 652 million followers globally, has seen its U.S. following more than double from 13 million to 27 million and the number of official fan clubs increase from eight to 136, across 39 states since 2014.